Audrey R. West, age 98, of Knoxville, Tennessee, died Friday, March 22, 2019, at Beverly Park Place in Knoxville. Born in Unadilla, she was the daughter of the late Howard Roberts and Lucy Griffin Roberts. 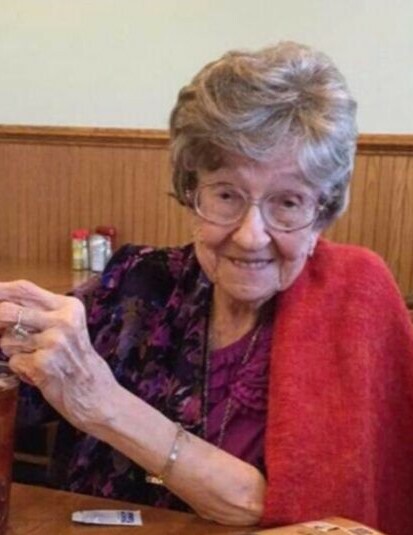 She was a longtime member of Snow United Methodist Church and retired from Robins Air Force Base. She was preceded in death by her husbands, Vaude Lee Moore and Joe West. Funeral services will be at 4 PM Saturday, March 30 in Snow United Methodist Church with interment in Walnut Cemetery. The family will greet friends 6 - 8 PM Friday, March 29 at the funeral home. Memorial gifts may be made to Snow United Methodist Church, c/o JoAnn Kirkus, 10270 Highway 230, Unadilla, Georgia 31091.